What would be comparable to B-Class in Forza? But there's lots of factors besides power/weight ratios that alter this. Two cars can have the same PP, similar weight, but have significant power differences (At 500pp, my NSX is 333hp and Kona's 22B is 393hp). Yeah, my track Impreza has 267 hp and weighs 1094 kg, and is 449 pp, while my rally Impreza has 287 hp and weighs 1250 kg and is almost the same pp. 430pp is a little faster than B class actually, makes racing even better! And from what other lobbies are running and the general horsepower figures I would assume 500pp is the same as A class. Agreed. I do think that it's a little more powerful than how an A class vehicle would be. What's everyones times looking like on nurburgring? 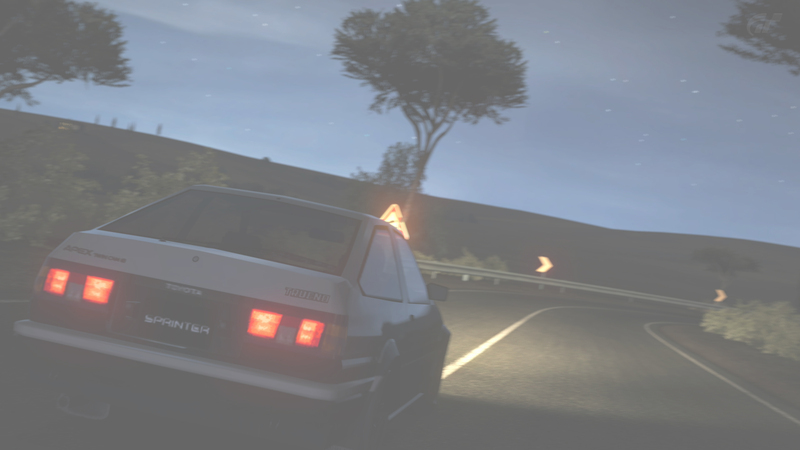 I got a 8:04.233 in my 430PP AE86. I think the game has a base pp value for each car based on how well they perform. When you change the car the pp either increases or decreases from that point. My stingray has a lacking power to weight ratio for 500pp for rxample, and the 86 has an abnormally high power to weight ratio for 430pp, so i'm guessing it's because some cars handle better than others. an 8:04 is like Mid S class in forza with Aero. <---- Yes thats really me. GT6 Room nametag "J. Swan"
Thats a B-Class time. However the dimensions of Forza's Nurb is completely wrong. Its off by more than a few seconds. I cant put down a good tie on account of the fact that i am still too new with a wheel. 500pp isn't anywhere close to b class, that's far too powerful. lol no i mean its like there version of b class. meaning its the one they use the most.